I flew to Phnom Penh, Cambodia to do some sightseeing and after a few days, I decided to go Ho Chi Minh, Vietnam. Whilst I was looking for Phnom Penh to Ho Chi Minh Bus , I did some research online. The flight cost approximately USD 165 minimum and it takes about fifty minutes or so but by the time you get to the airport, wait for the flight, exit the other end and wait for luggage, I think I’ll be completing this at three and a half hours. The bus cost is between USD10-12 and it takes maximum of 7 hours normally. I took bus as I could save so much more and I don’t mind spending extra 3 hours than taking flight. Which Bus company would you recommend? There are many Bus operators in Phnom Penh and after reading plenty of reviews online, I decided to take Mekong Express Limousine Bus and they are also one of the first Cambodian companies who do this run. The bus leaves from Orussey Market in Phnom Penh usually and finishes it’s journey in Pham Ngu Lao in Ho Chi Minh. Tickets can be brought through online, agents and hotels everywhere. The easiest way to do is through Mekong Bus website and you can also choose the seat that you preferred. Another advantage of taking Mekong bus is, they provide free pick up service around Phnom Penh city center which you will need to contact them one day in advance for this arrangement. When you arrive at Orussey Market, they have small booth where you can show them your booking number (if you purchase it online) and they will print out the actual ticket for you. They’ll also tag your bag and give you a number to reclaim it at the other end. The distance between Phnom Penh to Ho Chi Minh is about 280KM. The Distance from Phnom Penh to the border is about 170KM and it takes about four hours. Please note when you board into the bus, the Mekong Express representative will take your passport to check whether or not you have valid visa and ask you to fill out the Cambodia exit card (if you haven’t). The representative will ask and keep your passport again to get everyone stamped out at the Vietnam border at the same time. Note: If you are heading from Phnom Penh to Vietnam, you will need to get your visa before getting on the bus and there are NO Visa On Arrival at the border. If you are from one of the countries that have been exempted, you don’t need Visa. When the bus arrives, there will be a guide/representative from the Mekong Express company who will show you to your seat and he/she is usually a good communicator and this can be very helpful if you need any assistance whilst on this run. The bus departs at the exact time stated in your ticket and they are very reliable. Their buses are little old to be honest but they are kept clean, tidy and they also have a toilet on board. The most important thing for me that it’s comfortable. They also provide snack, wet towel and drinking water for their customers. Just before the border, they will do a 20 minutes stop where you can have your lunch/drinks etc. When you arrive at Bavet border (Cambodian side), you will need to get down of the bus and go through the immigration to stamp out your passport and the bus will be waiting for you at the end of this border. 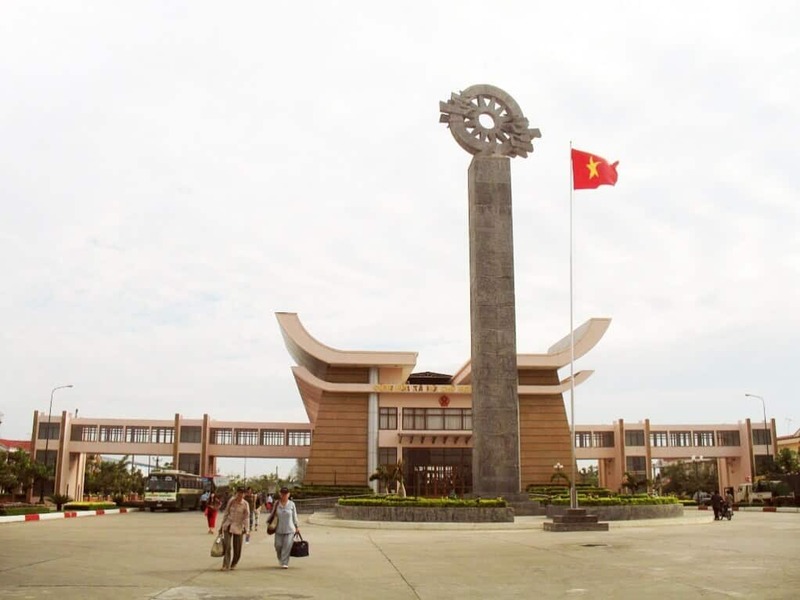 Next, you will be stopping at the Moc Bai border (Vietnam Side) to stamp your passport and honestly, the whole process is so easy and smooth. That’s it! you are now in Vietnam and from here, it will take you about two and a half hours to reach Ho Chi Minh City. If you have any questions, feel free to drop them at the comments box below and feel free to share this post via the social buttons.